Most of us have experienced a sharp “zing” in a tooth while chewing or biting something hard like ice, candy, or a popcorn kernel. That sudden “zing” causes our jaw muscles to instantly stop contracting and activate the jaw opening muscles unconsciously. That reflex is one of the strongest in the body and is part of a protection of the mouth – being a means of survival by eating, breathing, and speaking. The zing in our teeth is a small fracture that either injures the tooth nerve or flexes the tooth (yes, teeth can flex just like steel) which irritates the nerve. It takes a tremendous amount of force to crack an intact tooth (one without a filling). Cracked teeth are typically painful/sensitive to cold (81%). Pain with biting down (intermittently) is the second most common symptom (35%) of a cracked tooth and spontaneous pain (28%) is the third symptom of a cracked tooth according to a study in the Journal of Dentistry Dec 28, 2017. Cracks can be difficult to find and repair. Sometimes the tooth requires a crown and/or root canal. What can cause a tooth to crack? Sometimes we can crack teeth from bruxing or clenching. These unconscious forces often happen during sleep when our reflexes aren’t fully intact to protect the teeth. Teeth with fillings of varying size are more prone to fracture while chewing or clenching/grinding at night. 2/3rds of patients report cracked teeth were from grinding or clenching at night, the study reports. Nighttime clenching/grinding are one of the most common signs of a Sleep Breathing Disorder such as sleep apnea or some of the variant sleep breathing disorders. Activating the jaw closing muscles during clenching or bruxing stiffens the airway and can quickly open it during an apnea (airway closure while sleeping) event or hypopnea (partial closing). If you clench your teeth or have cracked teeth from clenching your dentist probably made you a nightguard to protect the teeth. Nightguards have been shown in studies (previously written about this) to worsen sleep breathing disorders thereby increase clenching and bruxing (grinding teeth). If you have cracked teeth, wear a nightguard and find you bite harder on that than without, you are likely to have an underlying sleep breathing disorder that is causing the clenching and grinding. Another article appeared showing the physical and mental/developmental effects of too little sleep for all of us, but especially kids. Sleep Organizations are pushing for later start times for school based on the growing body of evidence “short sleep” is affecting health. Parents can model better sleep habits and set some simple guidelines for their children’s sleep, such as a media curfew and a central place all devices are kept overnight. Our children aren’t getting enough sleep and it will affect their school performance and health. Between sports after school, homework and having to get up early – middle school and high school kids are sleep deprived. Another significant factor is access to social media in their bedrooms that can keep them up late. This study re-iterated the known physical and mental health effects of insufficient sleep. Brain development up through late teen years and processing of the day’s learning requires hours of time every night or, every few nights on a consistent basis. This ensures the body has proper sleep staging for growth and repair of the body itself, the brain also needs specific time and sleep staging to process that days input, link it to other data, and process emotional input. Children aged 6–12 years should regularly sleep 9–12 hours per 24 hours. Teens aged 13–18 years should sleep 8–10 hours per 24 hours. 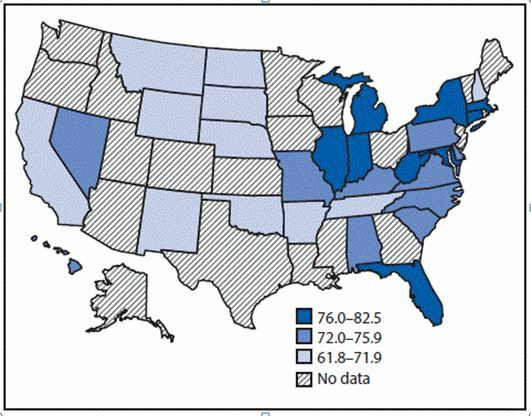 CDC analyzed data from the 2015 national, state, and large urban school district Youth Risk Behavior Surveys (YRBSs) to determine the prevalence of short sleep duration among middle school students was 57.8%, with state-level estimates ranging from 50.2% (New Mexico) to 64.7% (Kentucky). The prevalence of short sleep duration among high school students in the national YRBS was 72.7%. To ensure their children get enough sleep, parents can support the practice of good sleep habits. One important habit is maintaining a consistent sleep schedule during the school week and weekends. Parent-set bedtimes have been linked to getting enough sleep among adolescents. Evening light exposure and technology use are also associated with less sleep among adolescents. Parents can limit children’s permitted use of electronic devices in terms of time (e.g., only before a specific time, sometimes referred to as a “media curfew”) and place (e.g., not in their child’s bedroom). Other tips for better sleep are available at https://www.cdc.gov/sleep/about_sleep/sleep_hygiene.html. Snoring, sleep disordered breathing and sleep apnea in children is associated with impaired attention, neurocognitive deficits and poor academic performance that is measurable in third grade children. Children should not snore when sleeping, at any age. 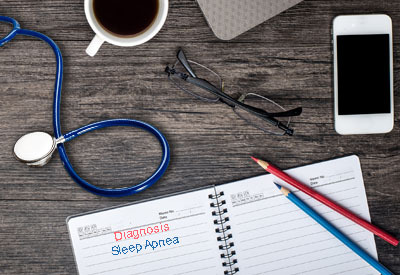 Snoring even 1-2 nights per week indicates a potential sleep apnea disorder. Other signs are bedwetting (consistent), restless sleep (they move and thrash throughout the night), ADD/ADHD-like behavior and resistance going to sleep – to name a few more common symptoms. Some signs and symptoms that are warning are obviously enlarged tonsils (if you can see them they are probably too large, despite what the pediatrician may say), front teeth that don’t close (open bite), retruded jaws. Dentists trained on TMJ and sleep disorders can evaluate children quickly by a history and clinical examination. Additional testing can provide a diagnosis. In the study mentioned, snoring “always” was significantly associated with poor academic performance in math, science and spelling. This relationship was also seen in children who snored, but who didn’t have hypoxia (low oxygen at night). When evaluating children (up to age 16) the adult criteria cannot be used. Children suffer negative effects in jaw growth, cognitive performance and TMJ problems that often arise because of a distortion in jaw growth. The effects of a sleep disorder in children affect growth of the mouth and face, which worsens the airway. Normal measurements of oxygen, apnea (stopping breathing), must be far more sensitive for children due to the effects on growth. These changes are notable clinically and on cephalometric images. Fortunately, today we have better clinical evaluations based on research, non-radiographic soundwave analysis of the airway and 3D airway imaging of tonsils/adenoids that make restrictions easy to see. If your grade schooler or middle school child snores, has headaches, TMJ noises or sleeps poorly it would be beneficial to have them evaluated at our office for a potential sleep disorder. We will work with a physician to get a proper diagnosis and course of treatment using our knowledge of dental-facial growth, anatomy and make sure the airway is clear. January 12, 2018 Comments Off on Splints, Nightguards, and Equilibration of the teeth rarely helps TMJ Problems. Splints, Nightguards, and Equilibration of the teeth rarely helps TMJ Problems. A recent article in J. Orofacial Pain & Headache, (the Journal of the American Board of Orofacial Pain of which I am a Diplomat) reviewed success rates of treating TMJ problems by Occlusal Adjustment (also called Equilibration of teeth). Occlusal Adjustment was the final treatment after the Dentists initially used a nightguard, then a splint. Neither treatment helped the pain complaints of headache or facial pain. As a final effort to alleviate the symptoms the Dentists decided to equilibrate the teeth because, as the article suggests, “they didn’t know what else to do”. This was reported to have been done despite the dentist’s foreknowledge that equilibration had a low success rate in alleviating TMJ symptoms. In the American Academy of Sleep Medicine this abstract was included in one of the “most Popular” from last year and it was worth reminding parents of children. The article reviewed the relationship of children, nighttime bruxism (grinding/popping teeth) and preschool behavior problems. Preschool children who grind their teeth and are withdrawn have lower school performance. This article in the Journal of the American Academy of Sleep Medicine was one of last year’s most popular topics for a good reason. 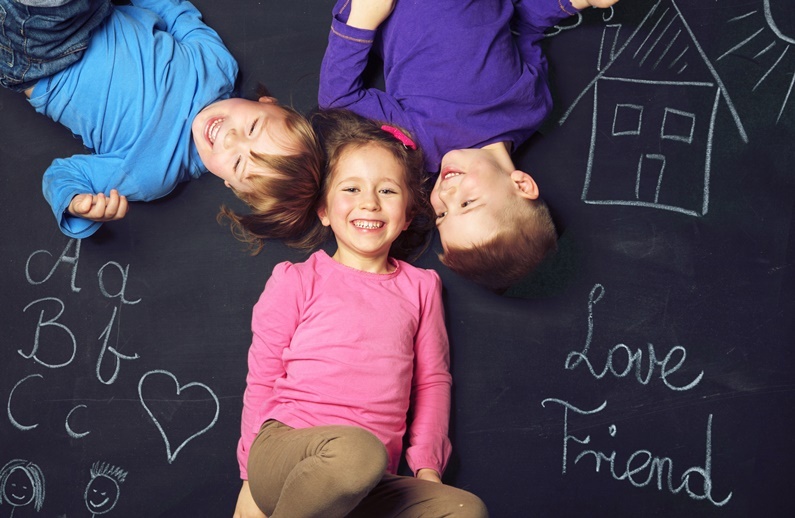 The study had just over 1500 preschool aged children enrolled. It asked whether the kids snored and then had observations from the parents that indicated the children who snored were more withdrawn, didn’t get involved with other children and had trouble adjusting to preschool. The more days per week these preschool children snored (starting at 1 day – up to 4 days) the observed negative behaviors increased. Interestingly these behaviors started presenting as the front teeth began to grow in (this is when the negative growth and physiologic effects of large tonsils/adenoids become problematic from a TMJ and Dental Sleep medicine specialist). The article advises that preschool children get 11-13 hours of sleep (which is normal at this age – many parents are surprised at how much sleep kids need), it also mentions stress as a “possible” factor. Suggestions from both Dental and Medical Sleep Specialists for children as bedtime approaches are universal; have a set bedtime and allow 30 minutes to “wind down”. No electronics of any kind for 30 minutes prior to bed. Interact with your children in a non-stimulating way as they wind down – read to them, etc. In our hectic schedules this can be hard to start, but once it’s established (may take a couple weeks or so of patient but hard work to establish the routine) it gives parents extra time to also wind down after their kids are asleep earlier! From Dental Sleep Medicine and TMJ perspectives, this article is based on the fails to address the most important reasons early childhood bruxing occurs; large tonsils and adenoids that restrict breathing while kids sleep. This is Sleep Apnea and is directly correlated to behavior problems in children, lower academic performance, and ADD/ADHD-like behavior. These correlations are well documented in the Dental Sleep literature as well as the American Academy of Sleep Medicine journals. Evaluation by a Dentist trained in Dental Sleep Medicine and TMJ/growth for airway obstruction and altered facial development is recommended. Facial growth is also recognized with infants who are “tongue tied” because they don’t nurse well. Many pediatric dentists are beginning to evaluate this critical anatomic problem – treatment is easy and fast to “free the tongue”. Myofunctional and Speech therapists also recognize this condition. If your preschool and grade school children have problems going to sleep, staying asleep or snore even once per week they should be evaluated. Over the past few years, I have seen a growing number of young women and girls with aggressive, degenerative arthritis in their TMJ joints. They didn’t have pain until the damage was late, usually a couple years after clicking started in their joint. Clicking in a TMJ means that the cartilage disc has torn off of the bone and no longer cushions the joint. Arthritis will start soon after. Typically it is wear and tear arthritis, but more recently I’ve seen the aggressive arthritis as mentioned in this study. The study results align with my experience and more specifically targets juvenile idiopathic arthritis and its underdiagnoses. As the article reports, the TMJ diagnosis is often late because it’s rarely painful in the first 1-2 years. The two hallmark signs that should prompt an evaluation are limited mouth opening (normal for all ages is the width of 4 fingers between the front teeth – or above 40-44mm open) and clicking in the jaw joint. Either sign should prompt a clinical and radiographic evaluation by an experienced TMJ specialist to assess for early signs of the degenerative joint disease. The study recommends that to prevent lifelong orofacial complications, early recognition and treatment is important. 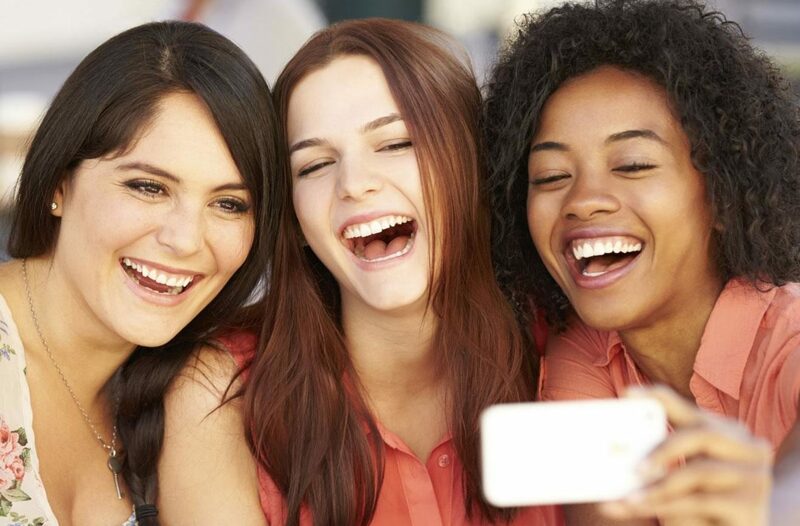 The signs or symptoms in teenage and early adult females are changes in the bite, TMJ clicking or popping and/or pain in the TMJ area. Young girls seem to be more likely to have this condition, but males are also affected. A clinical exam of the TMJ along with our high resolution, low dose i-cat 3-D imaging can show the early signs of degernative joint disease and clinical limitations that are associated with it. Decompressing the TMJ with orthotics is one of the most important interventions to arrest the disease. Additionally we would refer for JIA (juvenile idiopathic arthritis) testing in the event other joints might be at risk. Sleep is essential for our bodies to rest and repair and it’s the only time our brain gets a chance to rest, regenerate, and clean up the memories and inputs from the day. During sleep, there are distinct stages of sleep that help the brain rest and recover, and other stages allow the muscles and joints to decompress and repair daily damage. When sleep is disrupted by not breathing well (sleep apnea, snoring, etc.) the specific stages of restful and restorative sleep are also disrupted. Over time, the brain gets overloaded with toxins, excess information that hasn’t been properly stored, etc. 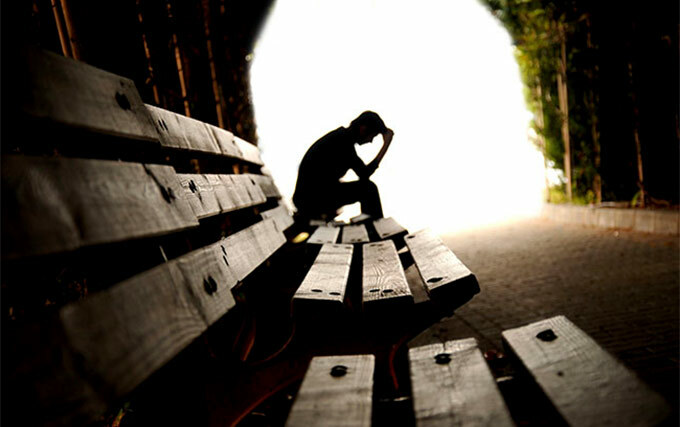 In one study from 2007, depression was cited to affect 20% of the adult population. At that time, the statistics also showed about 20% of adults also has Obstructive Sleep Apnea (or OSA). The prevalence of both has dramatically risen in recent years and may also reflect the inter-relationship between proper sleep and mental health. The amount of sleep disruptions, severity of being tired during the day, correlated with levels of depression. The repeated oxygen deprivation during sleep apnea and sometimes chronic low oxygen in snorers leads to changes in brain chemistry that may lead to neurocognitive changes. Serotonin reuptake inhibitors, the mainstay of treatment for depression, may have a slight negative effect on the airway dilator muscles that are responsible for keeping the airway open while we sleep. If someone is developing a sleep breathing disorder (due to anatomy, aging, weight gain, etc.) 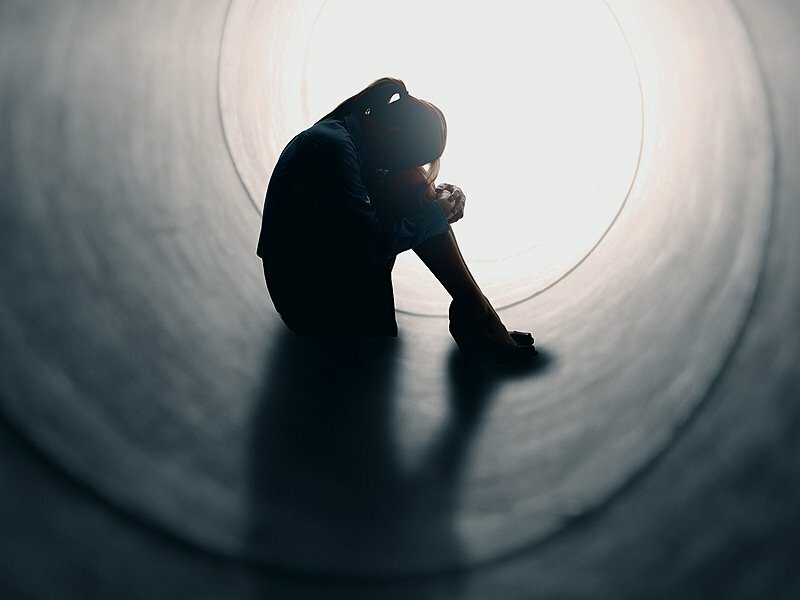 is it possible that SSRI’s can contribute to development or worsening of a sleep breathing disorder. 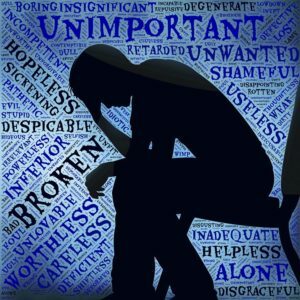 New medications are always being looked at in treatment of depression. Repeated oxygen starvation also causes significant inflammation throughout the cardiovascular system and in the brain. 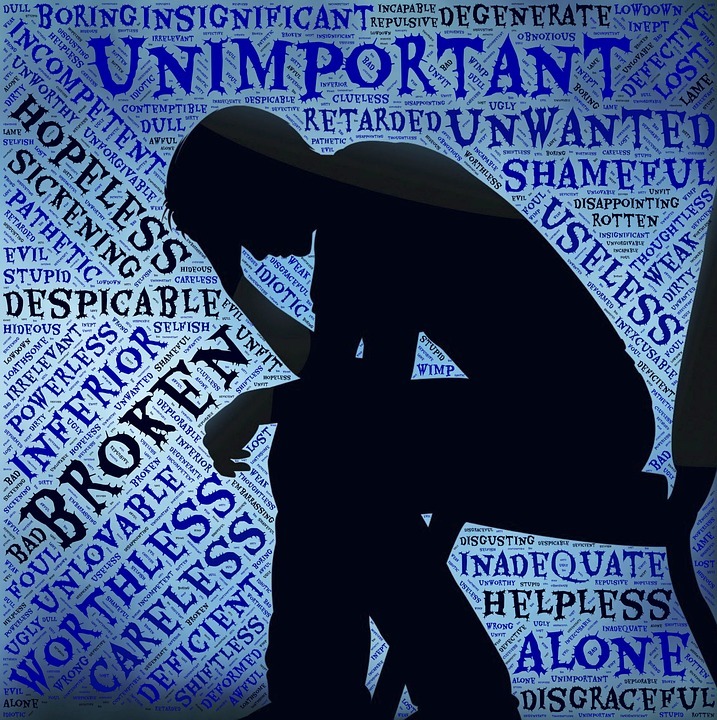 Inflammation chemicals called cytokines also play a role in depression. Symptoms of depression also overlap with symptoms of sleep breathing disorders including OSA (obstructive sleep apnea) such as fatigue, feeling tired, poor motivation. Patients with OSA also report difficulty concentrating, remembering information, being irritable, loss of enjoyment for life, etc. Snoring is one sign of a potential Sleep Breathing Disorder. Dentists trained in TMJ and Sleep Disorders can recognize the damage to the mouth, teeth, airway and TMJ and help the physician get a proper evaluation for a sleep disorder. TMJ damage from clenching and grinding of the teeth is also a well-established symptom of a sleep breathing problem. In up to 70% of patients with TMJ problems, we find a co-existent sleep disorder and vice versa. This is especially true in teenagers and younger children. If you or someone you know has problems sleeping, with depression or anxiety that isn’t responding with medical intervention, an evaluation for TMJ and the related signs of a sleep breathing disorder would be an important step to take. Over the years I’ve seen a few patients whose TMJ symptoms started while scuba diving. Some had been diving for a longer time, while other patients it occurred on their first open water dive. A recent article  surveyed divers regarding dental pain and reported barodontalgia (tooth ache from ambient pressure change) in 42% of divers, Pain from holding the regulator too tight in 24% and TMJ pain in 22%. I would suggest that the pain from holding too tight might refer to TMJ muscle or joint referred pain. It didn’t differentiate that pain. It also reported 22% specific pain in the TMJ. Potentially the 2 categories would suggest that TMJ or TMJ muscle pain occurs around 50% of the time in scuba divers of all levels. Clenching tight on a mouthpiece can induce a lot of sustained pressure in the TMJ. No joint is designed for long term loading. If someone clenches while diving for an hour or so, it will compress most of the lubricating fluid from the TMJ disc (this is called exhaustion of weeping lubrication). This creates areas on the disc that stick to the bony socket and upon moving the jaw, the disc itself can tear or it can tear the ligaments. This will typically cause a sharp pain and then feel like the joint is swollen. If the disc ligaments are damaged, the TMJ disc can slip and begin to click or the jaw may lock and not be able to move well. If your bite feels off after scuba diving, it can be from a muscle cramp. The best thing is to let the jaw slowly re-align over 20-30 minutes. Don’t try to bite hard to get the teeth to touch. Avoid any heavy chewing until the bite returns to normal. Attempting to clench and get your teeth to touch could damage the joint irreversibly. 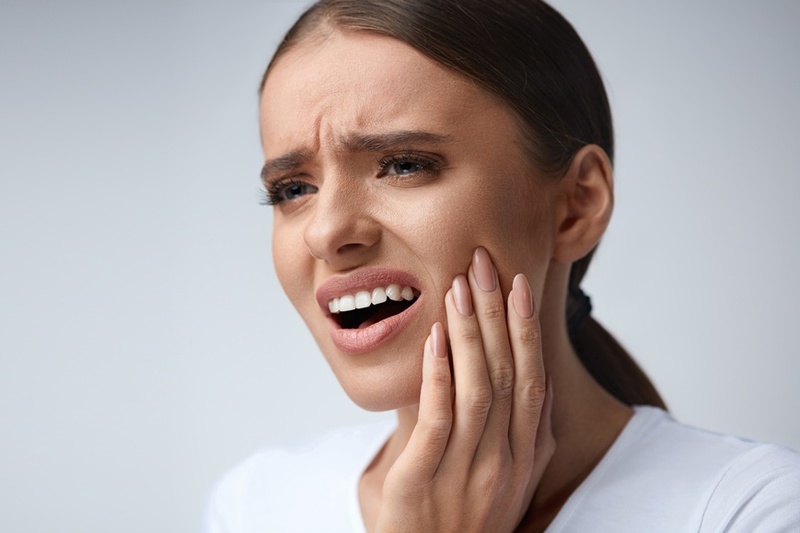 If the bite doesn’t get back to normal, have your TMJ evaluated by someone specializing in TMJ disorders to determine the nature of the problem and give you options to correct it. Adjusting the bite (occlusion) wouldn’t be the first line of treatment, but might be considered later. TMJ (Temporal Mandibular Joint) is a term that describes all problems in and around the TMJ. With TMJ disorders, there are problems in the joint itself (this is almost 100% of the primary problem) that cause muscles to cramp, spasm or hurt. It also shifts the alignment of the lower jaw (mandible) due to a shift inside the joint. This often makes your bite feel uneven. Managing the muscle pain with drugs, physical therapy, injections, etc. is helpful with providing comfort but it won’t fix damage in the joint, typically. Likewise, adjusting the fit of the teeth (equilibration) will not fix what happened inside the joint and often can lead to further pressure in the joint, causing more damage. It will, however, provide some muscle relief because it has restored balance between the occlusion and the damaged joint. 80% or more of patients presenting for TMJ problems have arthritis, dislocated/damaged discs and joint pain. Recent improvements in imaging and other biomedical technology helps in diagnosis and providing therapeutic strategies to improve joint function and alignment as a primary goal; since most symptoms arise from the sudden shift in the joint from a slipped disc or other microtrauma. I treat the joint back to health first (as much as is possible), then assess whether any change in the occlusion (bite) is indicated to support the joint. Myofascial and physical therapy treatments facilitate joint rehabilitation only when oral orthotics are being used. A majority of dentists understand that the most important etiologic factor in TMJ arthritis and damage is excess loading of the joint (clenching, grinding or an underlying misalignment from uneven growth of the jaws) that slowly causes damage to the cartilage disc, ligaments and bone. Using 3D cone beam imaging, I can measure joint space narrowing or loss and proper alignment of the joint in the socket. This guides treatment strategy by focusing on the most important factor first, which is the joint. Damage to the cartilage leads to and precedes joint space narrowing and eventual arthritic damage. Early detection and correction is our goal. Statistics relating to the incidence of TMJ Disorders (TMJD) and Sleep Apnea are often quoted around 70%. In my specialty practice, I see above 50% of people presenting with TMJ problems also have undiagnosed sleep-breathing problems (Sleep Apnea, UARS, Fatigue). One of the many reasons these conditions are linked is the fact that an obstruction of the airway during sleep often triggers an episode of clenching or grinding in an effort to stiffen (open) the airway. This is done while asleep, so it is usually discovered at a dental appointment when you are told your teeth “look like you have been clenching or grinding”. Long term clenching and grinding slowly damages the TMJ cartilage disc and triggers arthritis in the TMJ. Dental nightguards do not stop clenching or grinding, nor do they necessarily protect the TMJ joint. They are designed to protect the teeth only. An article this week describes link between Rheumatoid Arthritis (of the TMJ) and Sleep Apnea. Those of us who treat TMJD intuitively know this and it’s encouraging when research appears that supports our clinical observations. 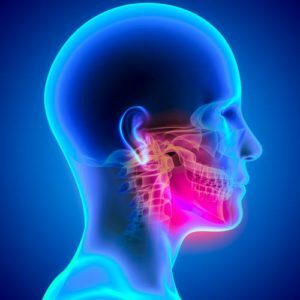 When the TMJ (jaw joint) has either a disc that dislocates (any clicking in the TMJ means the cartilage has been torn off the bone) or develops the arthritis that follows disc displacement – it causes the entire jaw to move slightly up and back. This is because the jaw joints lose their support and stability. As the lower jaw slides backwards, it sometimes shows up as a change in your bite (occlusion). Often feeling like a back tooth or teeth are sore, hit harder than the rest of the teeth, or your front teeth no longer fit together when trying to bite into something. Rheumatoid arthritis is a genetic condition where the body attacks and destroys cartilage and bone in various joints. The pain caused can disturb sleep, often triggering clenching. If the TMJ joint is involved, it causes the jaw to slowly collapse backwards over time. The support of the airway is decreased as the muscles under the chin fall back, often narrowing the airway during sleep. The article also relates arthritis in the upper neck to have an effect on the size of the airway, contributing to a loss of airway support at night. If you find your sleep becoming less refreshing, if you are told that you are grinding/clenching your teeth, have neck pain or popping/noise in the jaw joints, it should be evaluated by a Dentist specializing in TMJ and Sleep Breathing Disorders. I work with a network of medical professionals to help evaluate complex conditions and get to the source of problems.